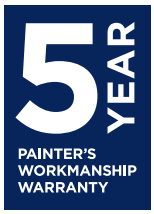 "Let's paint your place painted our entire home inside and out when we carried out major renovations to an old property. The works were extensive and Daniel and his team painted pretty much everything in the house.This included inside and outside, walls, ceilings, doors, windows, pergola, garage, etc etc and the finish in all cases is exceptional. The finish on the internal doors and window frames that they spray painted is absolutely beautiful.The team were professional and helpful, offering extremely useful advice in many instances when their vision and expertise detected potential colour issues with our initial choice. Daniel will offer advice where it may be useful and we are able to confirm that we were in danger of making a few mistakes without his help and guidance. The results are stunning and we are still receiving numerous compliments on the professional job some 12 months after they finished. Daniel has also carried out some small jobs for us since and has been happy to take on any job, however large or small. All work was carried out on time and on budget. There were no hidden extras.We could not recommend this team highly enough.. "